Cash and Carrots: Best carrots ever! 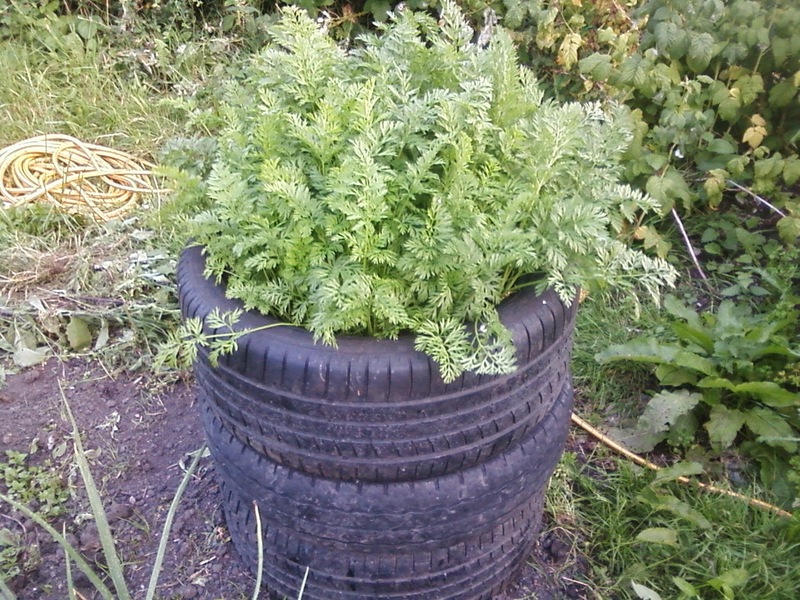 Some while ago I mentioned that we were growing carrots in a tyre stack. The tyres came from a local tyre and exhaust place, as they have to pay to have them disposed of, they are grateful to anyone that can take them away for free! 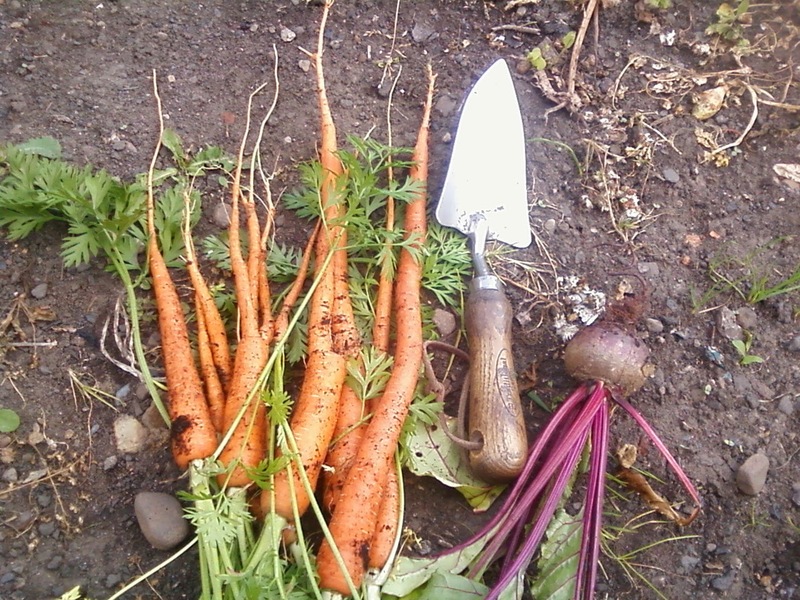 The advantages of growing them in this stack are that they can have a very deep layer of soil and compost to grow into and that they are high enough up to be out of the way of carrot flies, who probably aren't able to get through rubber anyway! As you can see they are of considerable length! They are also completely whole and have no tell tale black marks from carrot fly infestation. Sunday lunch also included the beetroot, peas, broad beans, runner beans and potatoes and a courgette, all from the allotment!